Hi guys. I just restored my swivel seats with covers bought from upholsteryguys.com and they are wery good quality and afordable. They are wery easy to work with and look wery good. They are Way better than the ones i Got at opgi, they only lasted 2 years before ripping at the seams. These look like alot better quality covers. I tried the link to upholsteryguys.com and apparently they are no more. Says domain is up for sale. I want to put new ones on my olympic edition white. When did you get those? and how with domain down...? I ordered them in october and i Got an email from them that they make them when someone ordres them so it would b 8 weeks before they would ship them. I only paid 200 dollars for the front ones. I havent heard hey are not in business anymore. I need to tjek that because i Think its the best covers i have seen yet. They are really Nice and Thick with the correct stitches and channels in the back. They come with hogrings and pliers, however the pliers are not wery good. So i would recommend getting a prof one. There is also the u Channel vinyl Strip with the covers. So im hoping they are stil in business because i would ned more covers for future cars. I just realised i wrote the Wrong name. The place i Got it from is carupholsteryguys.com its a part of m and T manufacturing. It was worth the waiting time and the Price is really good too. Also they were wery Nice to deal with and ansvered all questions i had. I paid trough paypal and at first i was a little freightent that they were not for Real, but there was no problems at all. Your seats turned out great! It looks like these kits appear to be manufactured by Acme Auto Headlining Co. out in California based on the part numbers. They produce great upholstery sets! I bought my set back about 5 years ago and they are still in perfect condition. I highly recommend them. Im wery happy with mine. Im told these should be the hardest seats to upholster. Im sure they are cause it was not easy. I Found out i would have been better off with new foam. But its expensive and almost cost more than the covers. So i glued some 2 inch foam on the old foam with spray glue. I took some 5 inch foam too and put in the sides. It worked fine as long as the covers are streched out everywhere. Then it was just a matter of wrapping it around the edge and putting the vinyl u Channel strip on. However i had to remove some of the foam that was on the new covers from the edge before wrapping it, or Else the edge would be to Thick for the u Channel strip to be put on. I Found that Holding it wrapped with duct tape was the best, that Way i could move it if it startet to wrinkle. I startet the wrap from the headrest and worked my Way Down. When happy i pressed the u Channel on with a hammer from the bottom working my Way around. Worst please is the piping at the headrest Seam. But there is a cutout in the steel lip that it fits in. It took me 4 hours pr seat and is by far the worst seat to work with i have ever done, but patience and the quality made it look good in the end. Also i hung the on a chair close to my fireplace a couple of days so they were Nice and pliable to work with. They had fortunatly not ben packed tight in a box for long, so they had almost no wrinkles unlike most others i have tried. It can be done if you just use patience, and there is also a video on utube that shows how. Im happy with the result but next time i buy new foam also. Your patience definitely paid off. These seats are very tedious to upholster for sure. I thought I would have an easier time with new seat foams. But like you I had to use additional foam and filler in multiple places to make them look right. It's not something I'd do for a living. My hands were sore for days afterwards. But because of a poor experience using an upholstery shop to install my first set I decided I'd keep the money and do it myself. Love to see your seats when you get them installed in the car. Looks like a factory job -- nice work! Thank you, im proud of them too considering im not a proffesional although i have done a few seats before. Thank you for the kind words. I look forward to the weekend, so i can put the seats back in and get the car on the Ground. I need to turn it around so i can give the trunk some tlc with custom upholstery. I feel brave after doing door panels and seats. So im thinking flat plates with carpet cant be that difficult. Ill post pictures when i have the seats back in. I have just put my center consol in, made from an 71 Monte Carlo consol with horseshoe shifter custom made rearend from a camaro consol all wrapped in lether. Came out Nice i Think. However i had a proffesional wrap it in Black leather since i did not have the skills to wrap it my self. Since parts are hard to come by i have had to modify stuff i could get a hold off. And the Monte consol was on the shelf. 200 bucks!!! dang that's a good price. Your result looks fabulous. I have a nice cloth bench but I am keeping an eye out for a cheap set of swivels nonetheless. 200 bucks aint that bad huh! 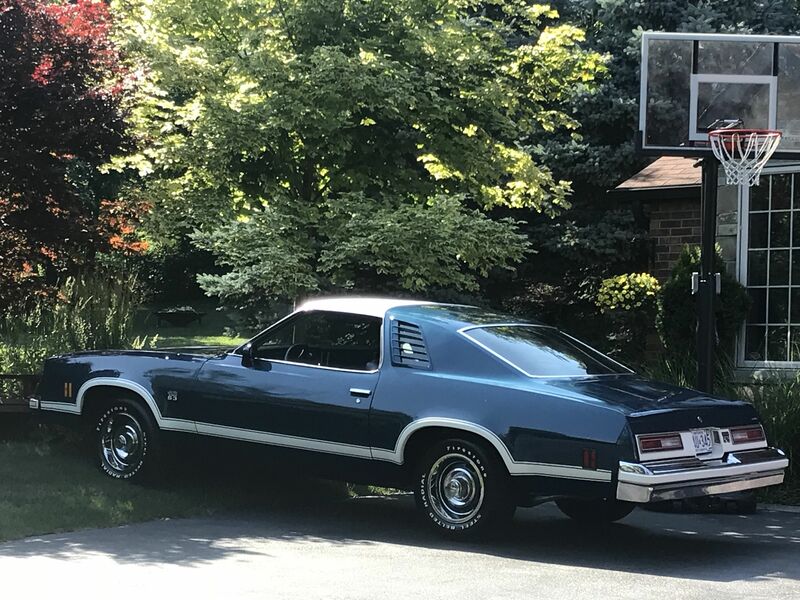 I put PUI covers and foam on the seats in my 78 Trans Am a couple of years ago and the had a nice look and fit to them, but they way I hear from the current owner, they have started ripping at the seam. These are Way better quality and seem to be alot better sewn so i have a hope that they will hold up better. You know swivels are hard to find here in Denmark. I Got lucky and bought a rusty elcamino with both the swivels and the gauge Dash. Best part was i sold the remains of it for more than i paid for it even without the seats and dash. I know that used USA parts dealer trimo has a set of swivels for sale all restored, but they are expensive. I Think they want like 1200 dollars for the set. I know that the Monte i partet out had a pretty Nice Black interior. Should i ask the guy that owns it if its for sale? I know it was bucket seats although not swivels but buckets nonetheless. You can text me if you want 22483132 Marx. You have some incredible upholstery skills, your seats are absolutely perfect! Excellent job, I did mine and I know first hand how hard they are to do. Thank you wery much, those are by far the hardest seats to do. Its wery difficult to get the u Channel trim to sit Nice. I hope they hold up better this time cause im not lovning the idea of doing it again soon. However i know how to do them right now so i guess it would be easier next time. Im pretty disapointed that the opgi covers ripped at the seams so fast. I only had them on for 2 years, only driving it 5000miles. But we will see how good these are. 5000 miles, that aint a whole lot of entering and exiting the seat, huh... What brand was it? I missed a set of swivels that came up for sale in the swedish A-body group. Dang, seller what practically giving them away for like 700 sek or something. I'll text you! Yep not a lot of wear on those seats. I belive they were pui brand. I ordered them trough opgi at the time. The new ones are much heavier compared to the pui ones and feels sorter and overall better made. Even the sewn channels in the back are made from Thick cloth and not the seetrough foam thing the others had. On the bak is a Thick foam glued on compared to the thin foam on the pui ones. The stitching seems handmade and more stout. So i have hi hopes the will hold up. Swivels show up from time to time here but only rarely. 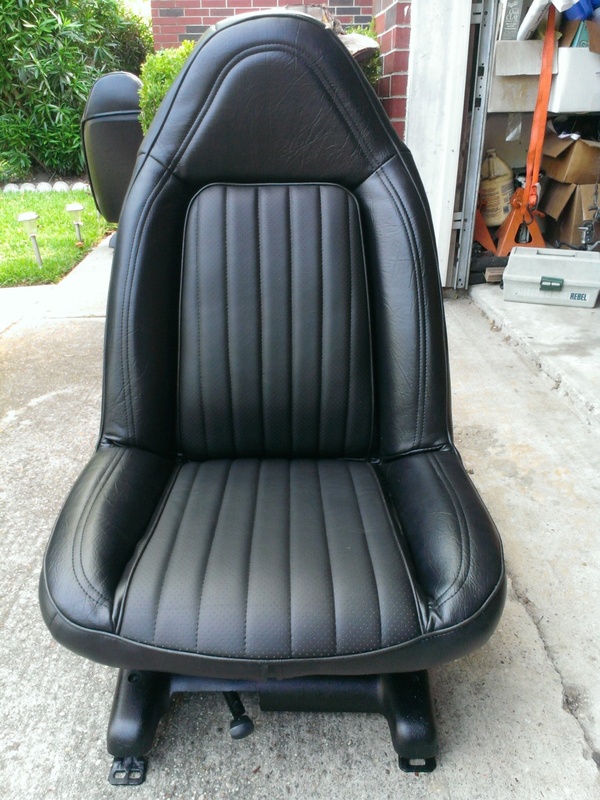 But theres alot of other bucket seats that would look cool. 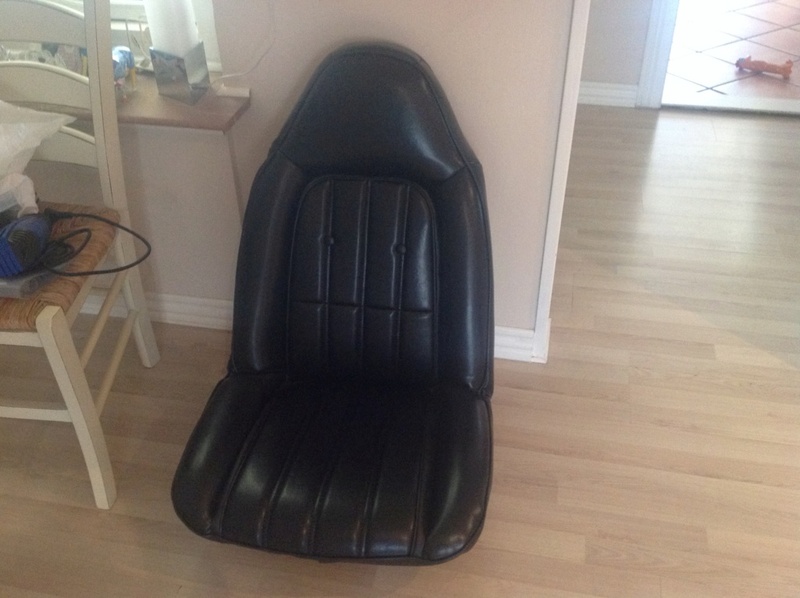 I looked at the classic procar seats at one time but they are pretty expensive it seems. If i want comfort a pair of Electric adjusteble seat from BMW or audi in leather could be an option, they are easy to find and dont cost that much.